It's been quite a while since I've run a giveaway in my blog! quality matte paper with pigment inks. It's so pretty in person! I will announce the winner Monday morning! I love love love your illustrations. When I'm not flat broke anymore, I want a whole wall with them. Especially the bird ones. But really all of them. I just think you're brilliant! Oh this is so sweet! I just love your work! I have to say your prints are just awesome!! Thanks for giving us the opp to win one! I think you know how much I adore your work, Afi! I'm so proud of you! I've watched your talent grow and grow from cute polymer clay to outstanding art work, and I can't wait until I am older and I can buy your whole etsy shop! I adore your work Afi, and this print is fantastic... How I wish I could win! This is absolutely adorable (as is everything else you do)... I really hope I win this one! The drawing of this lovely couple looks so nice in a frame! Like a photo to keep the love moment! This is so beautiful and touching. Reminds me of the birds in my yard! I'm following your blog since ages and I'm still a very big fan of your work and the way you can photograph it. So inspiring! I have a wall ready for this loooooooooovely print...I cross my fingers and make a little prayer. i would love to win, you're an awesome illustrator! your work is gorgeous! you are such an inspiration. this is perfect! 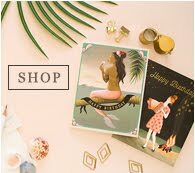 I love your sweet illustrations and the colors you use. oops, how are you going to let me know if i won when i post anonymously? Your work is always inspiring! Wonderful birds! I like your work. your things are really cute. I like your picture ! Bravo, c'est très beau ! 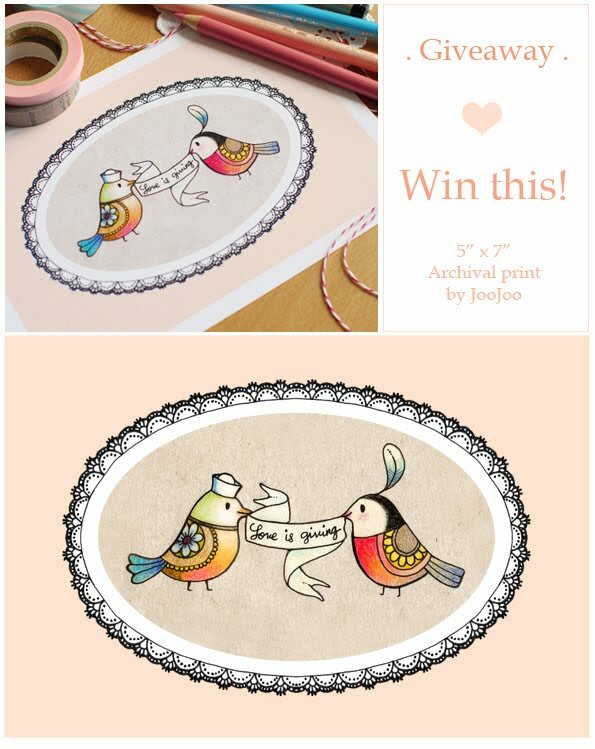 :-) I would like to win these cute birds ! I just got to your blog like a week ago via flickr, and i fell in love with what you do. I love your illustrations, your snails ♥ and your sketchbook. And I absolutely loved how you printed this birdies and put them in the tea cups! Frame and wall ready for this fantastic piece. i really love your work!!! Wow, your work is so gorgeous! Whoever wins is sure lucky! How lovely...your drawings are always so happy looking to me! I'd love a chance at winning this lovely work of art! The print is beautiful, and I'm crossing my fingers that I win. I have to say your art is very inspirational. I am not just saying this because this is a contest, I have been following your art for some time now, and I realized that I can actually make a profile, and show you that I appreciate your art just that much more! :) I can't wait to see more from your alphabet illustration series! Always a fan of your work, Afi. You are my inspiration while creating! I just love your art! Especially your little critter sculptures, SO CUTE! I've been following your works for some time and always admire them. Thanks for having this giveaway and I know the person who won will greatly appreciate it. oh i loove your prints and would love to have another one to go next to the cactus print i ordered a while back! Always inspired by what you love to create. I too think whomever wins is very lucky! I love your style, it's so poetic ! ohhh I wish it will be me, but the best of luck to all of us! You make my day every time you post something new. I love your work - keep enjoying what you do!! Oh wow, beautiful! Thanks for the chance! So adorable Afi! They are so sweet and the lacy frame is perfect. I love to follow your blog from here in Bristol in the UK, to see your stunning illustrations and polymer clay cuties. Really inspiring! I love your illustrations and your wonderful little sculptures ♥ And your snails... too cute! Love all your arts Afi! Love this one! and all your illustrations! I loveyour art, is so cute, your techniques with watercolor are amazing. Hello, my name is Joy from the United States. I love your creations. They are so Cute! Your work is really inspiring, can't wait to see more. Hello! I've mostly been a silent reader/viewer of this site. I really love your clay figurines, drawings, and jewelry--all of which I (hopefully) will purchase one day when my wallet isn't so empty. Like always, I love this print also. It looks so stunning online, I'm sure it looks so much better in person. Very true to my heart..Love is giving..
Really should learn to give too..
Not only demanding for someone to be like this and like that, when that someone already accept me the way I am..
Love happens when both of us give it the best for the relationship..The "Love is giving" not going to be there if they did not give the best to hold the ribbon together.. I love your sweet illustrations! So cute and vibrant! Your prints are very beautiful. Hope you continue makeing them. Thank You for sharing them with everyone. So awfully pretty! loving the illustration!